1. 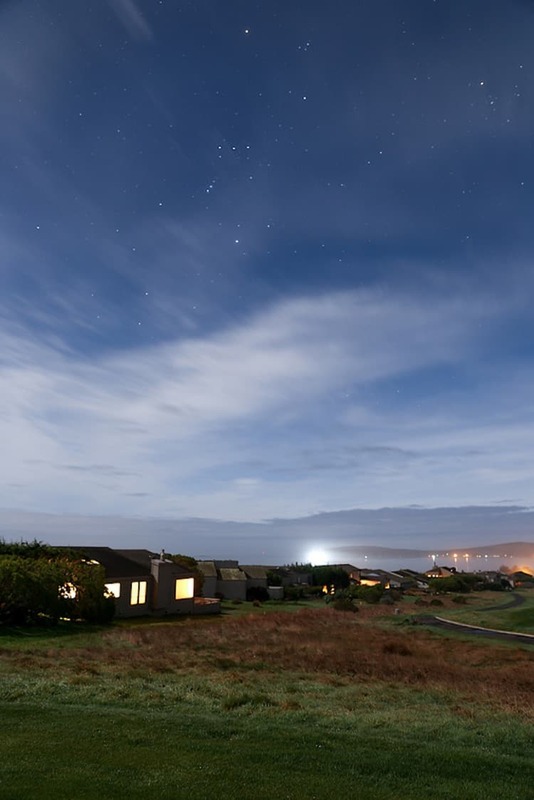 Shawn took this night time long exposure picture during our weekend getaway to Bodega Bay. It’s so beautiful, but sometimes I get nervous examining long exposure pictures because I feel like I might spot a UFO or alien somewhere up in the sky. Is that just me, or everyone? 2. This conspiracy theory about the true identity of Andy’s mom from Toy Story BLEW my mind! I’m convinced it’s true. I love Pixar. 3. I did something very out of character on Saturday. I went to my friends house because she was throwing a…wait for it…UFC fight viewing party. I know! I can’t believe it either. It was fun, but every time a fight would start I would run to the other side of the room and watch it through my fingers that were covering my eyes. All the guys were bummed Ronda Rousey didn’t win by breaking a girls arm in an arm bar like she has in all of her previous fights. I was relieved. And now I’m oddly obsessed with Ronda Rousey. And scared of her. 4. I did a very adult thing this week. I slept in an empty house all by myself. And I didn’t get kidnapped! Or murdered! Shawn was working in Lake Tahoe Tuesday-Thursday, which meant it was just little ole me. At first I thought I would feel like Katniss on her first night of the Hunger Games, freaking out at every teeny tiny sound I heard. But I fell asleep just fine. I did check every lock and window in the house, possibly twice. Now, I almost NEVER click on these links. Actually, I usually just scroll thru these retweets faster than I can read them until I get to tweets from people I follow. But the Oscar menu plan caught my eye. And Heidi at Foodie Crush is kind of a big deal, so I figured she’d have a great menu planned out. So I click the link to read her Academy Award Menu, and I’m reading it and scrolling thru and scrolling thru, and then I see this! OH MY GOSH! That’s my pork chop recipe! It was the coolest feeling. I’ve had blogging friends share my recipes before, but never a big time blogger! 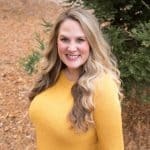 Made me feel just great about myself and the recipes I’m creating and sharing here. And like a teeny tiny food blogger celebrity, if only for a minute. Haha! And what are the chances I would have even seen this? So serendipitous. Love moments like that. Congrats on the share!! That’s amazing and you deserve it! Have a great weekend, Natalie! Thanks Sarah! It was a fun little “surprise discovery”. Hope you have a great weekend too! That’s awesome that you are getting recognized. You deserve it! Beautiful photo of the sky. The sky captivates me every time. Have a great weekend! Thanks Melanie! They’re a fun thing to write. And it was so fun discovering my little post on that blog! Great surprise. Is that picture pretty? Love all the stars you can see. Hope you have a great weekend too! That picture is gorgeous! You should put it on canvas and hang it up. Squee to being featured on Foodie Crush! That’s awesome! That photo is amaaaaaazing. Those stars. Those lights. Love it. You have me laughing so hard about UFC fight night. That is something I have never done! I had to Google Ronda…holy smokes, she looks BA. I’m scared of her, too, and I’ve never even seen her fight! OMG about the pork chop recipe! So, so cool. Congrats, friend! Your pork chops were on my mind because my grocery store is running a sale on bone-in chops. I immediately thought of you. I think THIS is the sign that I must make them. :) Have the best weekend! I had never heard of Ronda Rousey either. But I guess she’s like this super tough girl who went to the olympics, and she’s been undefeated in UFC, and she’s won every fight by doing this move called an “arm bar” where you bend the persons arm backwards until it breaks. GAHHHH! But she kind of looks like Julia Stiles mixed with Jennifer Lawrence, and I spent like 30 minutes on her Instagram, and now I’m super impressed by her. I could NEVER fight like that. Eeek! And isn’t that so cool about my recipe? I was like “EEEK! That is INSANE!” I’m sure lots of people have had their recipes featured before, but this was the first “big” one for me. And it was even cooler by the way I stumbled upon it. Best surprise ever. And it is definitely a sign you should make that pork chop recipe. It’s mighty tasty. You have a good weekend too Ashley! Thanks Ashley! You’re so nice. Probably the nicest person in the world. It’s the truth! Thanks for reading my little blog and always having such kind things to say. You and Bryan have a good weekend! Great minds think alike on long exposure photography this week — I love it! And how cool about the pork chop mention. I think that was the first post I read on your blog, and I’ve been coming back for “seconds” (eh, sorry — bad foodie joke!) ever since! :) Have a great weekend! Thanks Helen. I’m definitely an adult now! I almost brought a knife or baseball bat with me to bed, but braved it without a weapon. Haha! Hope you have a good weekend too! Thanks Tina! It was so fun. Have a good weekend friend! I would TOTALLY call you a big time blogger! You’re such an inspiration to all of us food bloggers, especially newcomers like me. You seriously made my day Heidi. Was the coolest moment that I’ll remember and look back on fondly. So thank you thank you! It’s left me smiling ever since. And I was thinking the same thing when I was at the UFC party, bloody Mary’s, pasta with bright red “bloody” tomato sauce, I love a food themed party! 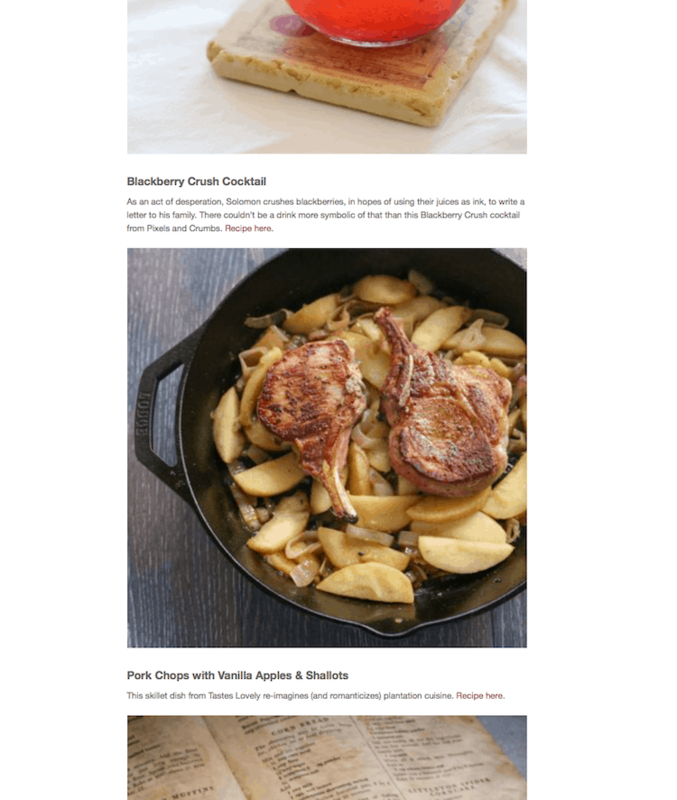 Your recipe….on Foodie Crush….beyond pumped for your!!! That is so awesome, girl!! Also, that photo is amazing!! Love the stars and the color! I love the sky and stars in the picture too. Have a great weekend friend! Congrats. Isn’t Heidi the best ever? I loved her menu, too. What a stunning photograph!! Wow, I love that one. 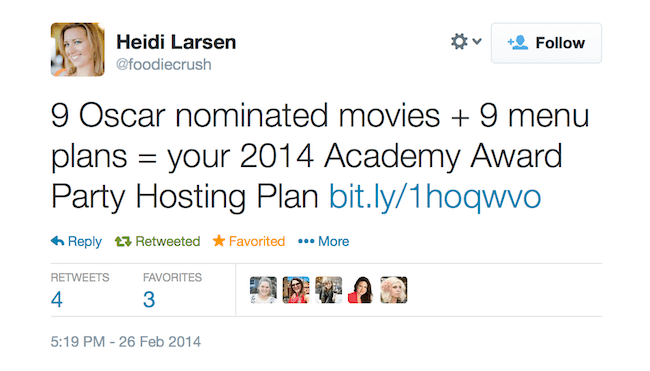 Congrats on the Foodie Crush mention – Heidi is the best!! Oh, congrats on those pork chops, Natalie!! (I don’t think I’ve ever said that before – ha!). I bet I would react in just the same way if I went to a UFC viewing party. I totally do the same cover my eyes/run away routine when I watch medical shows/gory scenes. And that picture is seriously beauuuuutiful!! So, so gorgeous. Seriously, that is the most beautiful photo I’ve ever seen! I love how it draws the viewer in. Also, Congrats! it feel great when your hard work is noticed! Congrats on the share! So exciting. I secretly like the UFC. Is that weird? it’s kinda entertaining. P.s At first I read that as UFO viewing party and I was like…friendship over. KIDDING. One I love that night sky photo. And that is so cool! I’ve had that feeling – you feel on top of the world where you stumble upon your own recipe being displayed as amazing. Congrats! Karen! You are so nice. You’re making me blush. And that is so neat my cocktail and your meatloaf were doing great on Foodgawker! I didn’t even know that. I should probably check those things more. Let’s both be famous! Congrats on the share, well deserved!